Irving was the first American man of letters to be recognized as a great satirist, historian, biographer and essayist in both the States and Europe. He was the youngest of 11 children raised by an austere Presbyterian father and a genial Anglican mother. A frail and often sickly child, Irving was spoiled by his parents. Although he pursued the study of the law, unlike his older brothers he was not compelled by his father to attend college. Ostensibly for his health, he traveled up the Hudson River into Canada, and toured Europe between 1804 to 1806. When he returned, he passed the bar examination and soon set up practice as a lawyer. His experiences as a traveler and an observer provided much material for his later works. His writing was certainly beginning to attract attention even if his legal shingle was not. Irving collaborated with his brother, William, and James K. Paulding in writing a series of twenty periodical essays entitled Salmagundi in 1807 to 1808. The work was a commentary on contemporary society and is still interesting for its insight on the manners and customs of the period. During this same period Irving began writing Knickerbocker's History of New York. Published in 1809, it was a comic history of the Dutch regime in New York. In a preface, more aptly described as a genesis, Irving encapsulates the evolution of the world in a mock-pedantic narrative. Shortly before the release of the novel, Irving's fiancée Matilda Hoffman died unexpectedly. Overcome with grief, his writing lapsed after she died. Seeking solace in the company of his family Irving moved to Washington D.C., acting as a lobbyist for the Irving Brothers' hardware-importing firm in 1811. This was a lackluster time for Irving who never fully recovered from the loss of Hoffman. He seemed to lose interest in women and never married. Over the next few years, besides fulfilling his obligations to his brothers, he took on the role of editor of the Analectic Magazine. 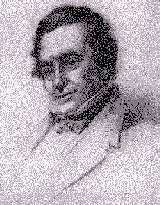 He then prepared the poetry of Thomas Campbell for American release in 1812. During the War of 1812, Irving rose to the rank of staff colonel. However, it was his business interests that took him to Liverpool in 1815 and eventually greater fame. Although he could not save his brothers' company from insolvency his literary associations in London provided dividends. Irving credits Sir Walter Scott for providing the inspiration and prodding to continue writing that culminated in The Sketch Book of Geoffrey Crayon, Gent in 1819 to 1820. Often called the blueprint for the modern short- story, The Sketch Book contains a blend of satire, fact and fiction, and the old and new worlds. Comprised of about thirty works, including The Legend of Sleepy Hollow, Rip Van Winkle, and The Spectre Bridegroom, it assured Irving's reputation as a professional author. Buoyed by the success of the first anthology he penned a sequel, Bracebridge Hall, in 1822. He traveled in Germany, Austria, France, Spain, the British Isles, and later in his own country to gather information and material for his works. His character, reputation and former contacts in Washington led to an invitation by Alexander H. Everett to join the American legation in Spain in 1826. During his tenure he wrote Columbus in 1828, followed by The Companions of Columbus three years later. Settled in Spain he delved into the ancient history of the Moors. He compiled and interpreted their legends in Conquest of Grenada in 1829. He continued in the mold of The Sketch Book with a Spanish offering, The Alhambra in 1832. This final publication marked his return to America. After 17 years, the prodigal son returned to a warm welcome in New York. But Irving did not cool his heels for long. He traveled west, capturing what would be the last days of the wild west in his part fiction, part travelogue style. In quick succession he produced A Tour of the Prairies in 1835, Astoria in 1836, and The Adventures of Captain Bonneville the following year. Except for four years, 1842 to 1846, as an ambassador to Spain, Irving spent the remainder of his life at his home, "Sunyside," in Tarrytown, NY, on the Hudson River. Until his death he was devoted to literature, principally collecting and writing his memoirs.